• She lives in Thailand. • Most people live in Asian than in any other continent. • The council has (or have)postponed a decision on the new road. Other words like this include association, audience, class, committee, department, electorate, family, government, orchestra, population, staff, university, and the names of specific organisations such as the Bank of England, the BBC, IBM, Sony. 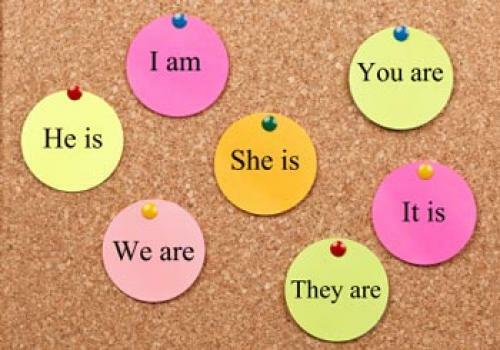 We use a singular verb if we see the institution or organisation as a whole unit and a plural verb if we see it as a collection of individuals. Often you can use either with very little difference in meaning, although in formal writing (such as academic writing), it is more common to use a singular verb. • The company 's earnings have increasedfor the last five years. Note:The nouns police, people and staff also always have a plural verb. The nouns whereabouts can be used with either a singular or plural verb. Some nouns end in -s and look as if they are plural, but when we use them as the subject of a sentence, they have a singular verb. • The news from the Middle East seems very encouraging. • About three metres separates the runners in first and second places. • The fifty pounds he gave me was soon sent. • Jean and David are moving back to Australia. • Meat pie and peas isTom's favourite at the moment. Other phrases like this include fish and chips, and research and development. • Neither the President nor the representatives are to attend the meeting. • Either the teachers or the principal is (or are) to blame for the accident. • An inflation rate of only 2 per cent makes a big difference to exports. • Around 10 per cent of the forest is destroyed each year. • I would say that about 50 per cent of the houses need major repairs. • Some 80 per cent of the electorate is expected to vote. Above some facts and examples that I mentioned are very important in using subject and verb agreement. In this article, I give some examples to know how to write a meaningful and grammatical sentence and using in subject and verb agreement. Students can study some subjects and verbs orders easily.